At this time of year, all the apple trees beside the road are laden with fruit. We have discovered a particularly good tree by the road halfway to town, and usually try to stop and fill a bag or two on the way home. I have been cooking up a whole lot of applesauce to have with our pork, and the kids have been putting our apple slinky machine to good use. 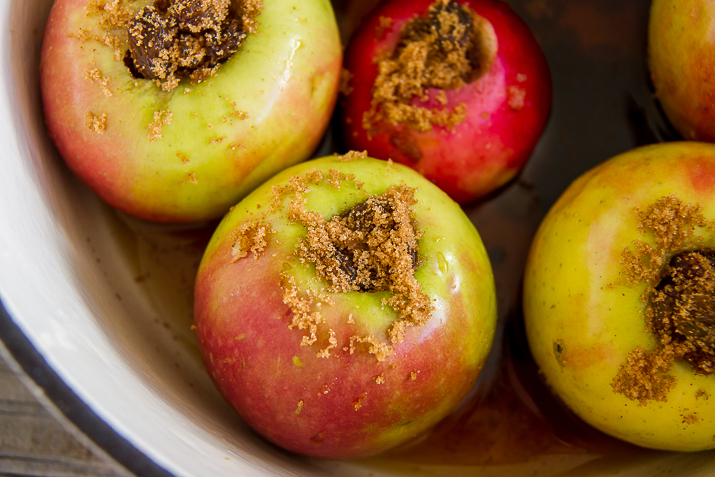 When I was a child, I would often make these fake baked apples for dessert. They are called fake baked, because they are actually just cooked on the stove top. 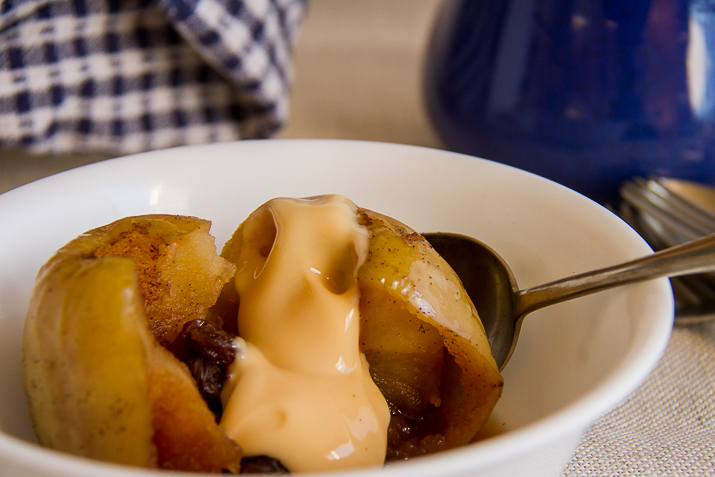 With the cooler weather coming, cosy warming desserts really hit the spot at the end of a busy day. 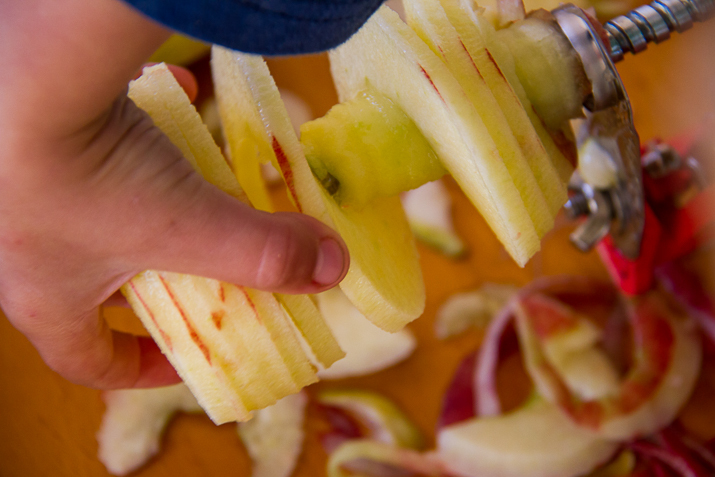 Use an apple corer to cut the centre out of each apple. Place the fruit, brown sugar, and cinnamon in a small bowl and mix together. 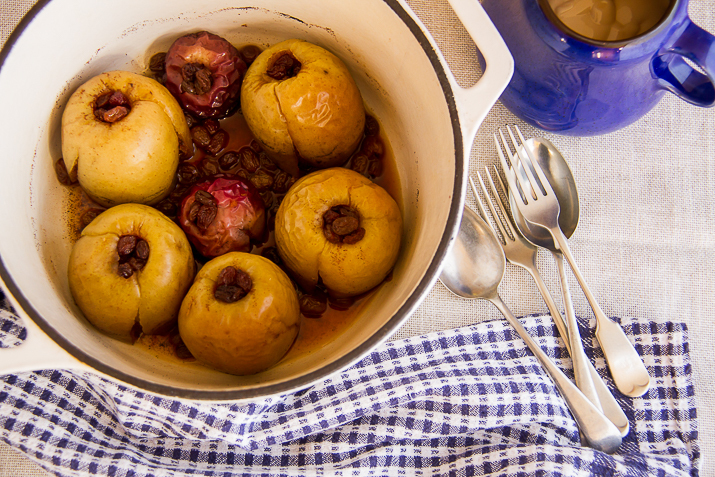 Poke the fruit mix into the centre of the each apple, and place in an oven proof pot. Tip any remaining fruit mix, together with vanilla and water into the pot. 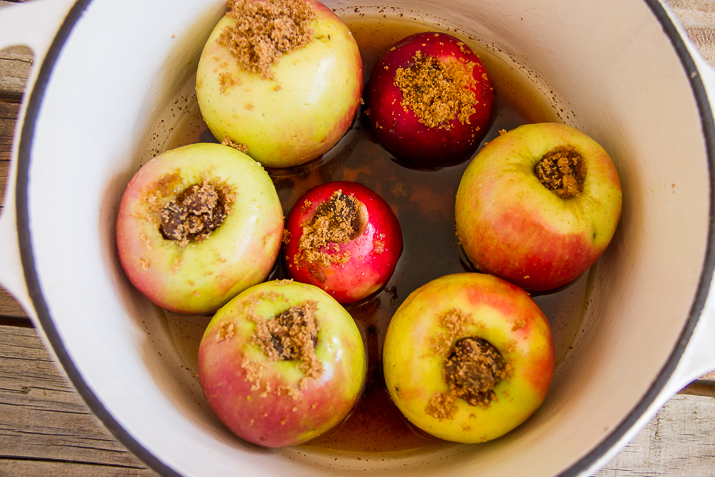 Place the lid on top of the pot and place on the stove for 15 minutes or until the apple is soft. The liquid should form a caramel sauce in the bottom of the pan. 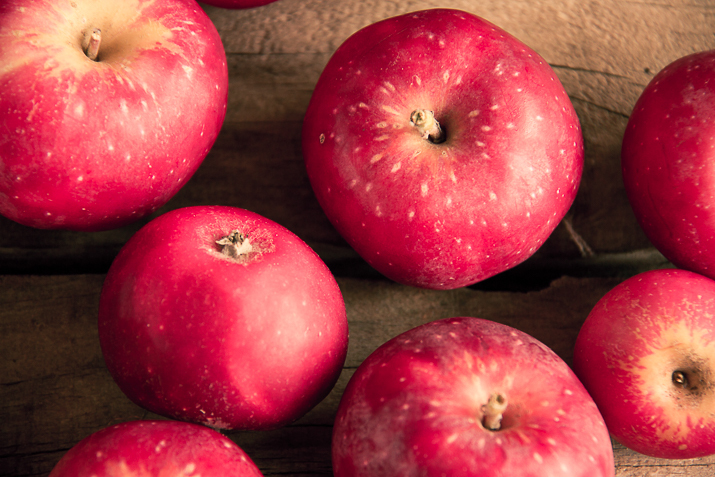 Got any good apple recipes?